Slap Shot is an ice hockey game developed by SIMS and published by Sega for the Sega Master System. 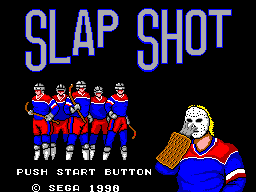 During development it was known as Slap Shoot. Main article: Slap Shot/Magazine articles.